ALGER – The 2nd Conference of African NGOs, members of the United Nations Economic and Social Council (ECOSOC), will be held from 19th to 21st November 2018 in Algiers and will be attended by approximately 300 representatives who will discuss the challenges facing the African continent. Co-organized by the African Parliament, civil society and the National Association for Youth Exchanges (Anej), in collaboration with the Collectif des étudiants africains en Algérie “Initiative Agenda 2063”, this event is placed under the theme “Public-private civil society partnership for youth entrepreneurship and employability, innovation and inclusive and sustainable industrialization”, announced its initiators at a press conference held in Algiers. 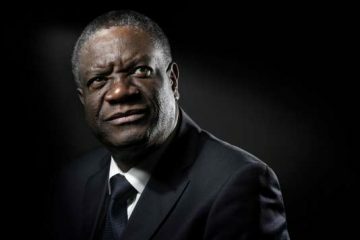 It is also under the slogan “Together for a prosperous Africa and the world we want”, and its objectives include “pooling the actions and resources of the continent’s state, economic and civil society actors, defining a common strategy to tackle the migration crisis and creating a platform for a permanent and structured dialogue within civil society”, they detailed. This meeting also aims to make Africa’s voice heard in preparation for the 11th Global Forum on Migration and Development and the International Conference on Migration (ICM 2018), scheduled for next December in Morocco. 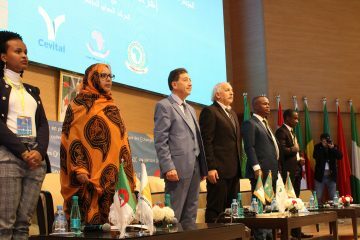 The Algiers conference also aims to “strengthen inter-state trade and cooperation between African countries and in the South-South zone”, they added, noting also the elaboration of recommendations to ensure “the sustainability of regulations, policies and development strategies”. On the agenda of this meeting were conferences, debates and other workshops related to the themes of migration, poverty alleviation and women’s empowerment in Africa. 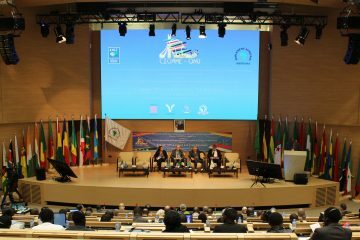 According to the president of Anej, Ali Sahli, also president of the organizing committee of this 2nd edition, this conference promises to be “an event for African civil society” so that they “will be a force for proposal”. Pour le représentant des étudiants africains, Arestide Igiraneza, l’Algérie est devenue une “école” dans le domaine de lutte contre le terrorisme, invitant les Etats africains à s’inspirer de l’expérience algérienne en la matière, tout en œuvrant à relever les défis sécuritaires et ceux liés à la jeunesse.